An explanation of why the APEC Summit was like no other. 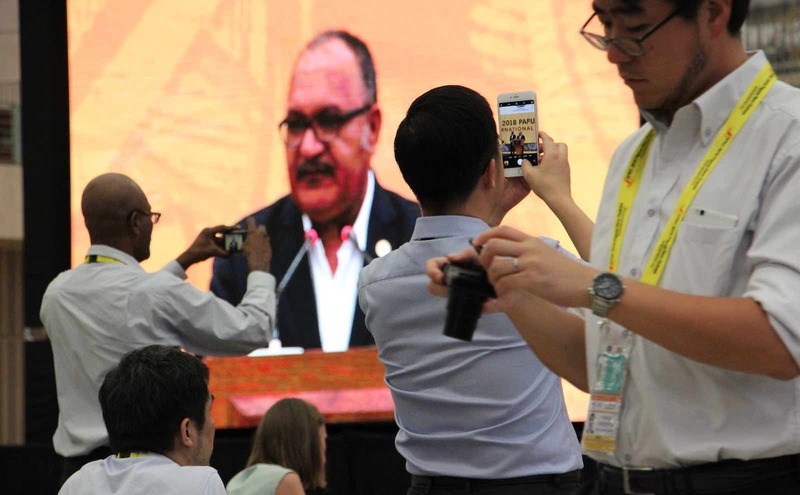 A week later, after leaders failed to reach consensus on a joint declaration, PNG Prime Minister Peter O'Neill has released a final communique, titled the Era Kone statement. US Vice President Mike Pence confirmed that the US will join Australia to develop the Lombrum naval base on Manus Islands, and The Guardian’s Katharine Murphy examines the implications. Suspended EMTV journalist Scott Waide has been reinstated report both ABC and Guardian a week after he was suspended over editorial decisions around coverage of APEC. Nick Easingwood and Mark Baker from ANZ evaluate the new PNG electrification partnership announced at the recently concluded APEC, that should connect 70% of PNG population to reliable electricity. The ABC’s Stephen Dziedzic looks at the MOUs signed between China and Vanuatu, which includes a major new grant and loan from PNG, as well as the agreement to join in a Sister City style relationship with Chinese province Guangdong. David Morris, a former Australian diplomat and current Chair of the United Nations Asia-Pacific Business Forum, argues for partnership, rather than confrontation, between Australia and China in the Pacific. Meanwhile, China’s plan to redevelop a coral-chocked port in Samoa alarms security analysts from Australia. Tom Westbrook writes on PNG’s decision to hold on to its Huawei internet infrastructure contract, despite Western countries’ efforts to take on the work. The issue has also been picked up by the Wall Street Journal. In her new paper “Walking the talk: is Australia's engagement with the Pacific a ‘step up’ or a stumble?”, Tess Newton Cain assesses Australia’s step up in the Pacific, a year after the publication of Australia’s Foreign Policy White Paper. ASPI analysts Anthony Bergin and Rebecca Moore write in The Australian about their recent report on how to get more Australian private sector interest in the Pacific region. Concerns have been raised as New Zealand’s Ministry of Foreign Affairs investigates Niue Premier after an allegation by opposition MP that he was the sole shareholder of the country’s seven state-owned enterprises. Angela Merkel's return to power, Shinzo Abe's snap election, buffer states in Asia and more.